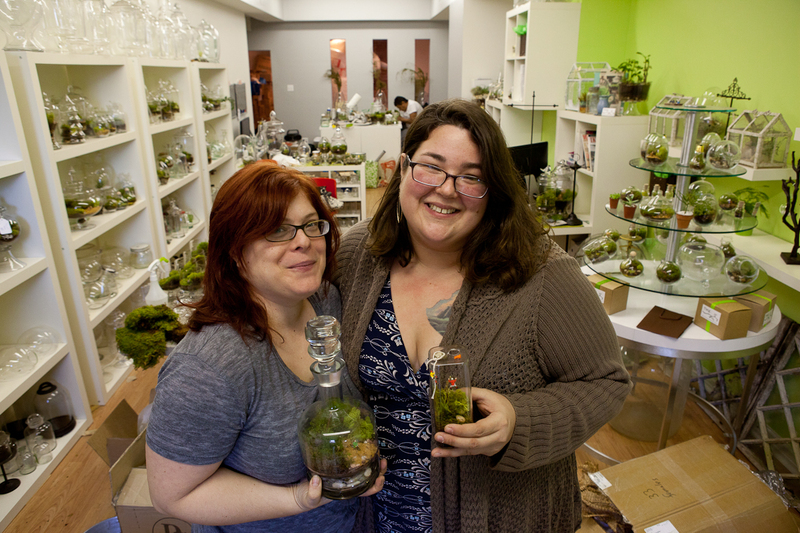 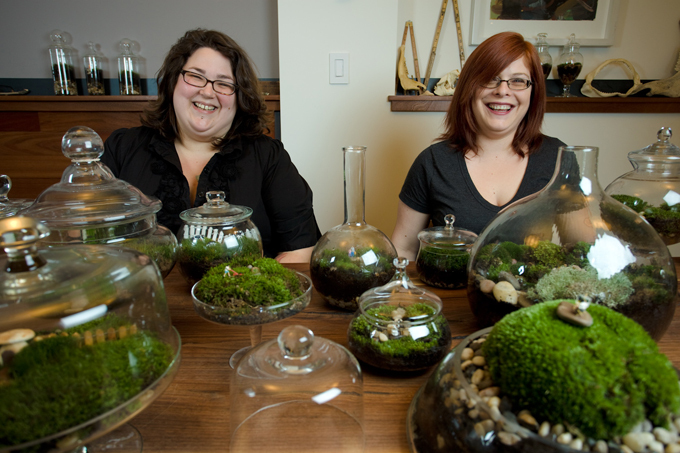 These in-a-glass work are created by Michelle Inciarrano and Katy Maslow from Twig. 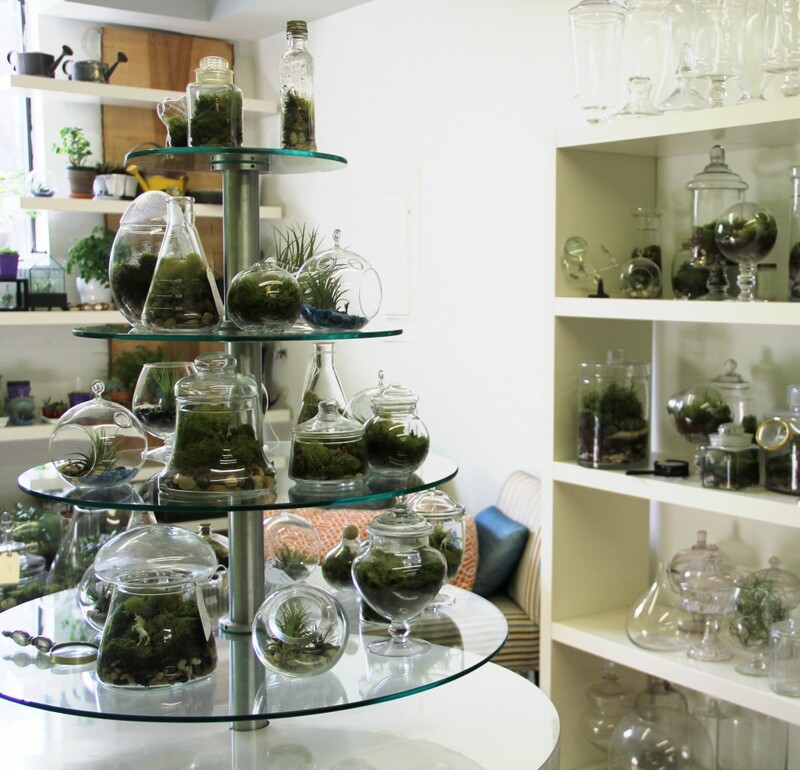 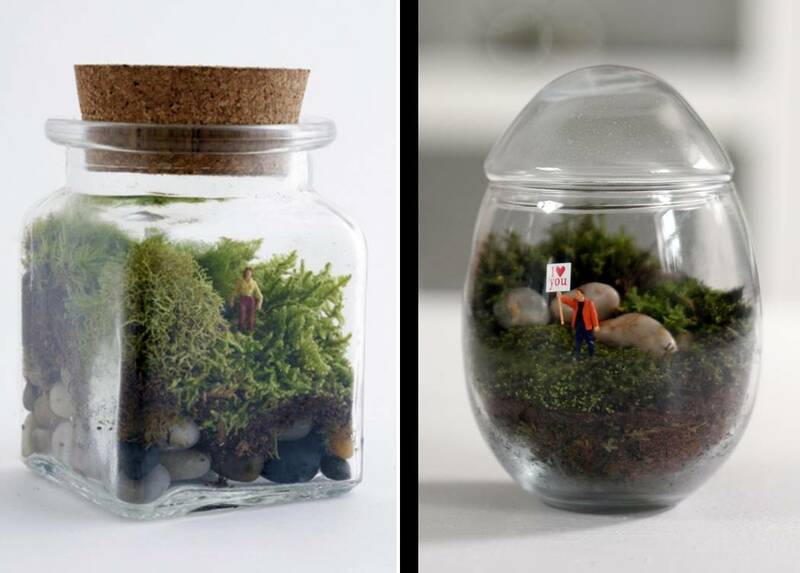 Each terrarium contains a mini-ecosystem mimicking a landscape/scenery with interesting scenario. 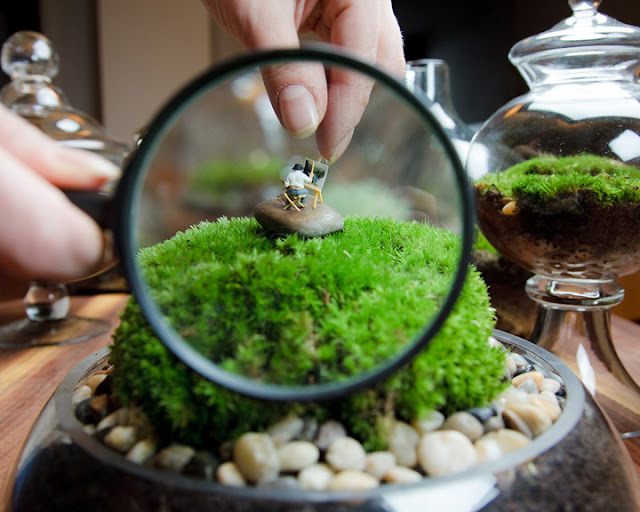 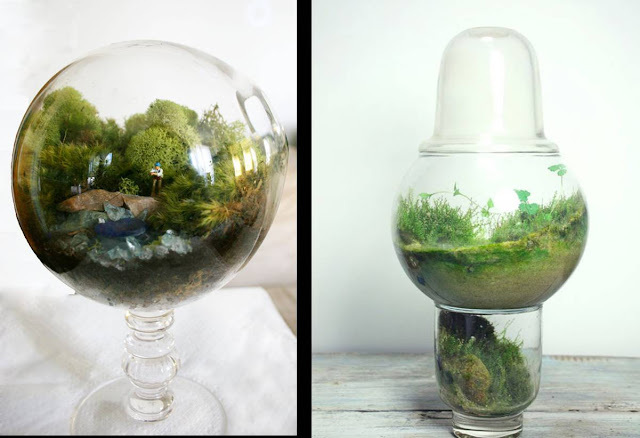 These tiny worlds are formed using miniature mosses and succulents and often little miniature figurines/props are added to bring out the theme/story.